Buying baby clothing can be more or less complicated, especially if you’re going to be a mother for the first time and you really don’t know how to go about things. Of course, some of your friends and family members might be able to help and even give you several pieces of clothing that they don’t want to keep. But sometimes, it’s better to do a bit of research so as to find out just what kind of clothing you are going to require for your newborn son or daughter. One thing that we have to note right off the bat is that it’s practically impossible to predict the clothes size that your newborn is going to need as he or she grows up. Some babies grow up faster than others, so one piece of advice that we can give you is to shop several sizes and then return whatever you might not use. We’ve made a list of some clothing you should consider getting for your newborn. Baby onesies are incredibly convenient and practical, and the neat thing about them is that most are very easy to put on and take off your baby’s body. Some are appropriate for playing, as well as sleeping, while others look like pajamas. Best of all, many of the models that you might encounter these days come in a variety of sizes and looks. Believe it or not, you can get onesies printed with your favorite superheroes and make your son or daughter look like a mini Wonder Woman or Batman if you like comics and other such characters from pop culture. These items have to be purchased in different numbers. You’re going to need between four to seven shirts, as well as turtlenecks or some that snap at the neck. Get a single sweater or jacket, because many babies loathe having clothes being pulled over their head. The baby’s sleepwear has to be as uncomplicated as it can get. You will require about four to seven pajamas or sleepers. Wearable blankets can come handy under a variety of circumstances, and the best thing about them is that you’ll only need a limited amount, like two or three. With winter babies, you will have to consider getting a one-piece snowsuit or fleece suit. Avoid the bulky ones because they’ll be a pain to put on and take off and they’ll make the newborn pretty frustrated, and the last thing that a tired parent needs is another crying session. While you’ll only have to get one or two pairs of booties because, in most places, winter does come to an end, you’ll require lots and lots of socks for indoors. 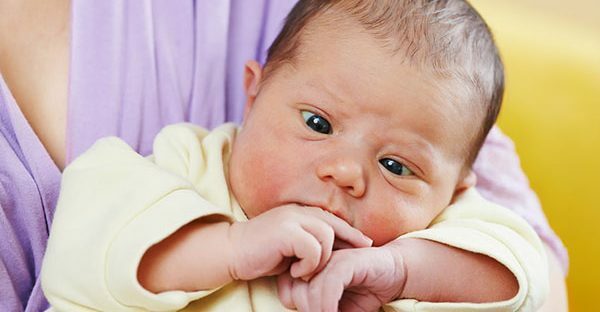 When you’re getting newborn clothing, what you should focus on is whether there are any parts of that piece that might endanger the health and safety of your son or daughter. All of the decorative items, ribbons, or buttons have to be secured properly so that they don’t come off. Otherwise, they might be choking hazards.